This chapter is a case study about the application of mobile electronic system integration (MOBESE) in Istanbul, Turkey. To fight crime in a more effective and efficient way and to manage the traffic problem, the MOBESE system has been put into practice since 2005. From the perspective of smart city and innovation, this chapter explains the process of the MOBESE system and its applications for crime prevention, crime fighting, and traffic management. 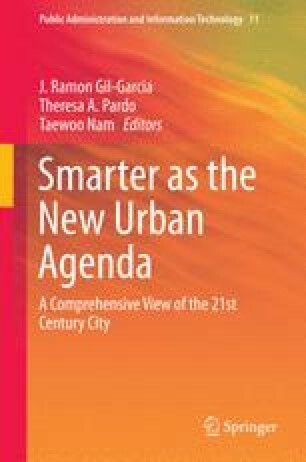 The chapter first gives brief information about the case and then reviews the smart city research from information science literature and surveillance research from the criminal justice literature. Then, the case is explained to give an idea about the application of the system. Finally, its relevance and contribution to the literature is discussed. Istanbul Emniyet Müdürlügü (IEM). (2014). MOBESE(Mobil Elektronik Sistem Entegrasyonu). http://mobese.iem.gov.tr/. Accessed 12 Apr 2014.